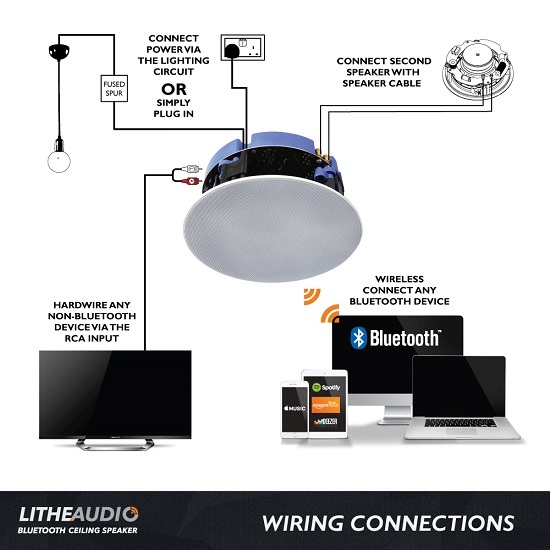 The Lithe Audio all in one Bluetooth Speaker Kit solution comes with an additional passive speaker enabling the system to be integrated into much large rooms whilst still providing high quality audio reproduction streamed wireless from any Bluetooth enabled device. The system is an all in one unit combining of dual two way speakers, wireless receiver, audio line in and amplifier, in an easy to install in ceiling speaker unit's no larger than the average standard speaker unit. 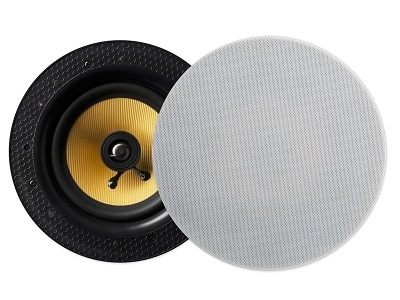 There are two models of this speaker system, a pin protected model number 01564 and an un protected model number 01571 for use with amazon dot.